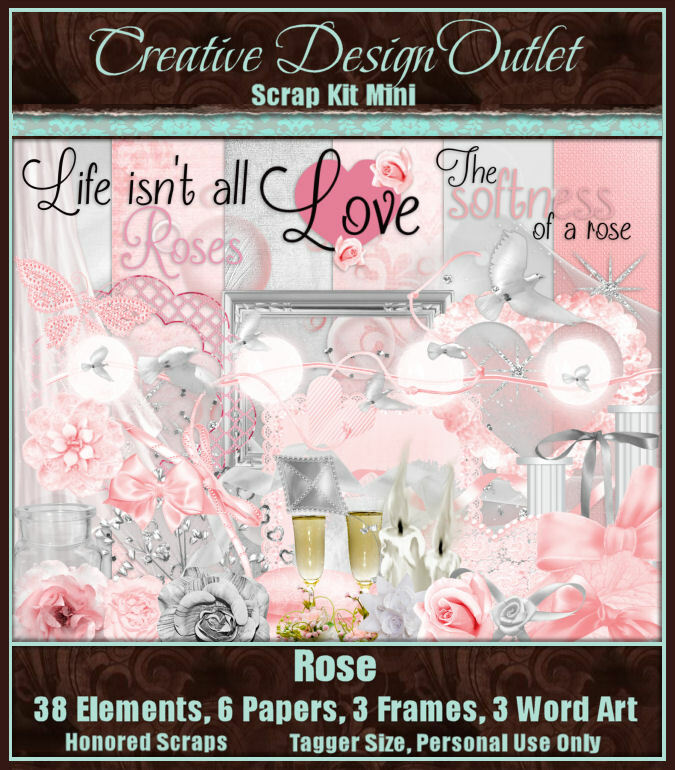 CT Tag for Honored Scraps using a stunning new kit that she has just released yesterday at CDO called Rose. 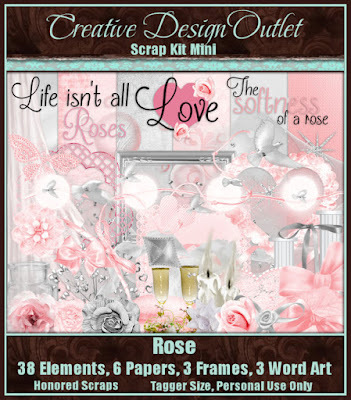 This is a marvelous kit that works for the upcoming Valentine's holiday or also just any time of the year that you wish to add a little extra love into your creations with. Beautiful tones of pinks, grays, and whites fill this kit to the brim as you can smell the wonderful scent of the fresh cut roses, as you feel the love in bloom. You can purchase this amazing kit exclusively here at CDO. I paired this kit up with the amazing art of Anna Liwanag, whose art tubes are available for purchase here at CDO. It is available in sizes 1366x768 here and 1920x1080 here. Please use these as-is, they may not be altered in any way, thank you.